Charlotte is a vibrant and fast-growing city that’s undoubtedly coming into its own. This includes our food scene. What are we known for? What makes Charlotte restaurants and chefs so different from other cities'? 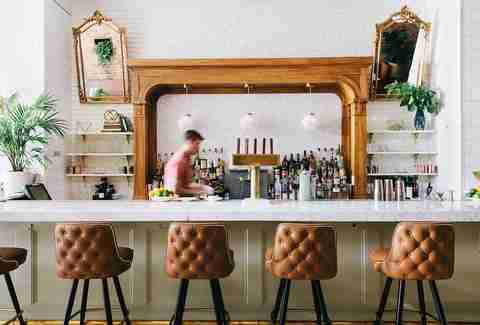 These are questions we’re still answering, but thanks to some new restaurants -- as well as tried and true favorites that consistently bring their A-game -- the Queen City is turning out some impressive, destination-worthy dining options. 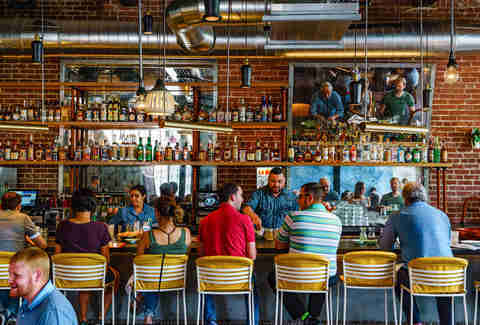 The restaurants below offer a variety of cuisines at various price points, but all are helping Charlotte further establish itself as a formidable foodie city. First, you’ll see the most exciting new spots that opened in 2018. Keep scrolling and you’ll see our Best of the Best section, the stalwarts that helped build the restaurant scene and are working to keep it thriving. James Beard Award semifinalist chef Paul Verica left Charlotte wondering “what’s next,” after he abruptly shuttered his beloved restaurant, Heritage. He came back quickly with an answer -- The Stanley. Verica opened the seasonally driven, locally sourced Stanley earlier this summer. The menu changes frequently, which means you’ll have the opportunity to try something new each time you visit. And that’s a very good thing. Named in honor of executive chef Richard Cranmer’s mother and grandmother, Zinicola is like being invited into someone’s home for a family meal. Many of the recipes used in Zinicola are based on the family traditions and recipes passed down from chef Cranmer’s Italian grandmother. 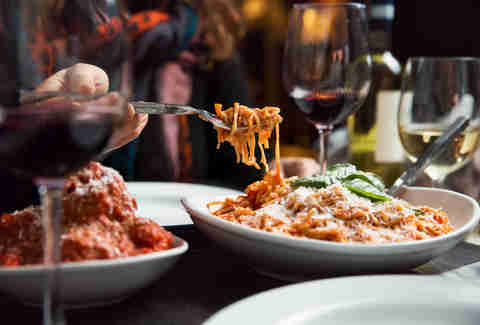 From the made-in-house pasta to the wood-fired pizza, Zinicola’s menu fuses Old World recipes with modern techniques and will surely be a hot spot heading into 2019. Fin & Fino opened along the Levine Avenue of the Arts in Uptown and makes for the perfect pre- or post-event destination. Grab a cocktail or glass of wine, but don’t sleep on the food. 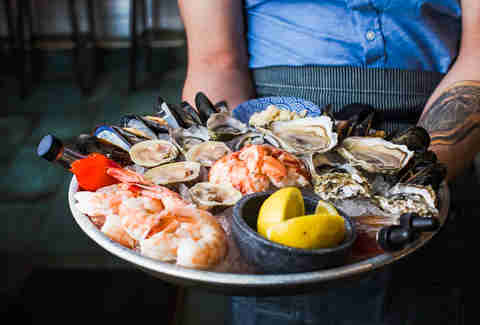 With fish and shellfish delivered daily, you can always count on your meal being as fresh as possible. With dishes like cobia, lobster with truffles, and a minimum of 12 types of oysters on the menu at all times, Fin & Fino is the perfect place for a lover of the sea. The anticipation for La Belle Helene’s opening was off the charts. The good thing is it lived up to the hype. For your first dinner, order the roasted chicken served with rosemary and garlic Yukon gold potatoes. 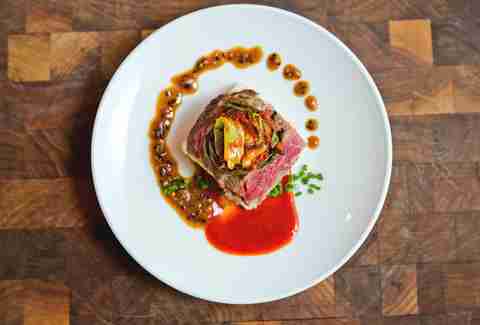 This dish is meant to show off the rotisserie, which was custom-made in France. 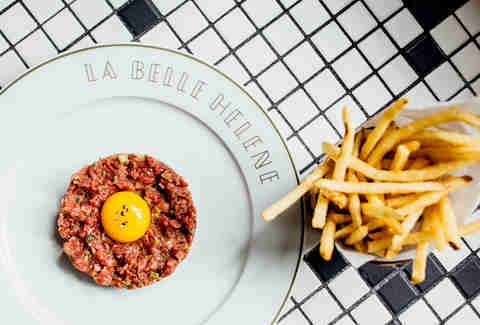 In addition to amazing food, the space at La Belle Helene, named for a French opera, is breathtaking and even boasts a bathroom created for patrons to take a memorable bathroom selfie... which may be the only thing basic about this spot. 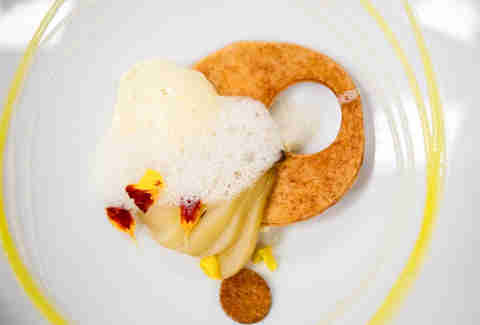 Bardo made a big bang when it came on the culinary scene. With mixologist Amanda Britton behind the bar and chef Michael Noll in the kitchen, Bardo hits with a one-two punch. Chef Noll can be seen from the exposed kitchen preparing small plate dishes such as the tempura maitake (which will make you rethink mushrooms), and delectable desserts like the ginger carrot cake. Amanda creates cocktails meant to bring out the flavors of Noll’s dishes, such as the Cool Beans cocktail made with Fernet Branca, Mexican cinnamon, and cold brew from local purveyor Pure Intentions Coffee. Located in the booming Backlot area of Park Road Shopping Center, Flour Shop is an open-kitchen concept where diners can watch their food be created in front of them. 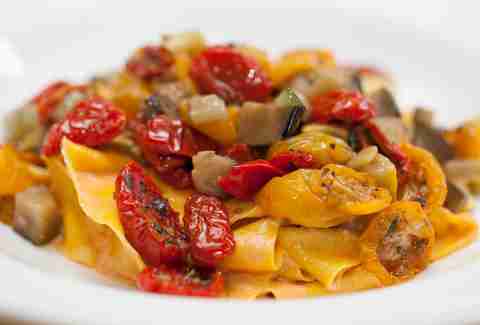 Homemade pasta is made on the stone counter and food is roasted on the crank grill. The rigatoni with veal Bolognese is the perfect comfort food dish and the coffee and cider ribeye steak is a unique take on a classic steak dish. 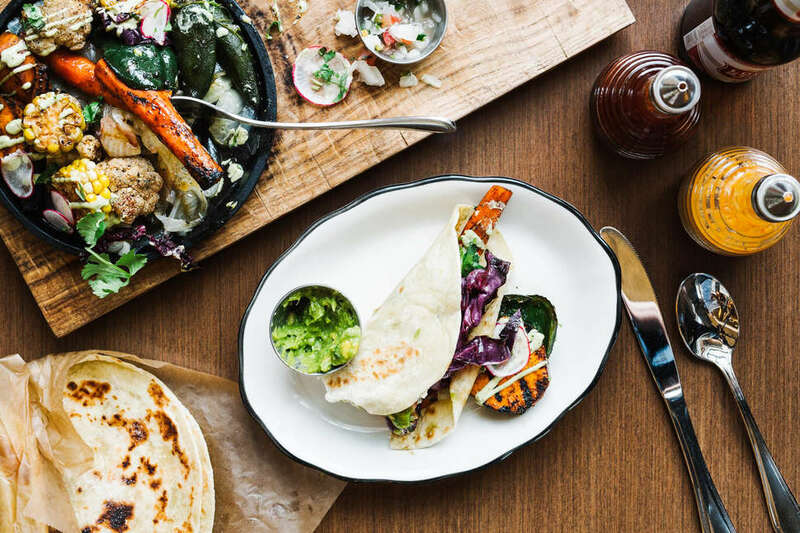 This Atlanta-based Tex-Mex restaurant was met with much fanfare when its Charlotte franchise opened in the Design Center of South End. The cocktails are potent yet delicious and the fajitas come out to sizzling perfection. Dinner is a popular time (it’s regularly slammed), so we recommend going for lunch with the $11.99 lunch special or trying out the brunch on the weekends. Located in the Ascent Charlotte on the edge of Romare Bearden Park, Haymaker is a stunning sight to behold. But thanks to its food and cocktails, it’s more than just an Instagram memory (although it will garner plenty of likes). Asheville chef William Dissen brought his focus on locally sourced food and Southern flair to Uptown Charlotte. The menu changes seasonally, and while the seafood may be exceptional, the care in which vegetables are prepared is the true standout. Our favorite? The pear and roasted beet salad is unparalleled. If it’s on the menu, order it. In the historic Dunhill Hotel, The Asbury is a Southern restaurant, but with an upscale, modern twist that helps it stand out from the classics. 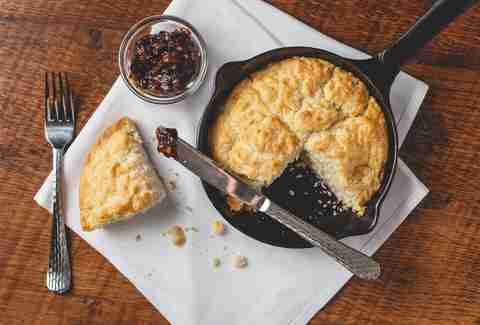 The menu changes seasonally, but the Maw Maw’s Cast Iron Biscuits served with bacon jam are a staple and the best way to start dinner. Recently, Executive Chef Matthew Krenz passed the baton to Chef de Cuisine Mike Long. We can’t wait to see what Chef Long will bring to the table (figuratively and literally). 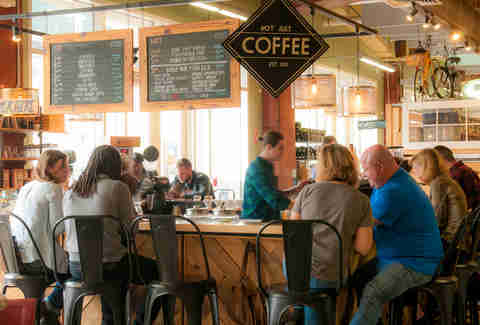 Although 7th Street Public Market is just that (a market), it’s one of the best-kept secrets for food in Charlotte. It features vendors from celebrated sushi, pizza, crepes, and coffee purveyors in the city -- easily making it a one-stop culinary destination. Pro-tip: head to the market on a Thursday night for the Raclette Night where the purveyors at Orrman’s Cheese fire a wheel of semi-hard cheese under a broiler and scrape the cheese onto your plate of meat, bread and pickles. Earl’s is a specialty grocery serving up some of the best food in Charlotte. While waiting for your order, feel free to peruse the cheese and charcuterie selections. And sure, maybe pick up a little something extra while you’re there. Order the No. 6 (a duck confit-beet hash) when it is on the menu, or the Harvest Salad with smoked farro, pickled onions, and fennel. Seriously. 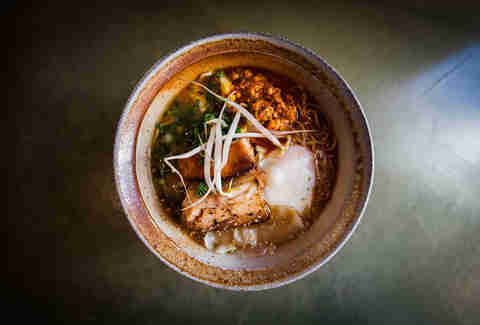 When Chef Michael Shortino opened Futo Buta he started a ramen revolution in Charlotte. Utilizing fresh ingredients, Futo Buta offers patrons Japanese dishes that are not only made from scratch, but also stunning. Ramen, gyoza, and Japanese fried chicken are some of the standouts. It’s been around for a few years, so if you STILL haven’t gone, now’s the time. A well-curated wine selection, a seasonal menu, and a reputation for being one of the best date spots in Charlotte has made The Fig Tree one of the most quintessential romantic restaurants in our city. After you try some of the fresh seafood dishes (which you must do), order up some dessert -- specifically the dark chocolate torte. Small bites to share… or hoard. Your call. The sophomore effort of chef Bruce Moffett (he now has three concepts with more on the way in 2019), Good Food makes its big sister restaurant, Barrington’s, proud. Luckily, Moffett’s on-the-nose name paid off, as this joint serves up some damn good food. It’s a tapas-style restaurant where plates are meant to be shared. Check out the Prince Edward Island mussels and, here’s a little tip: ask your server for extra bread to sop up the green curry sauce. Fried chicken, hushpuppies, charred okra… oh my! 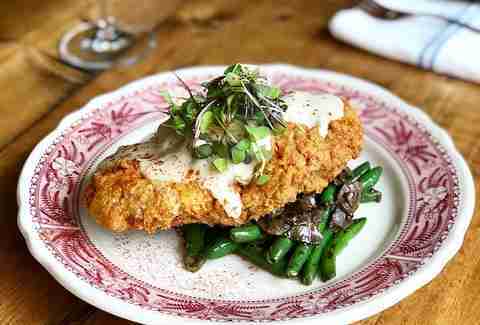 Although fried chicken was always cool, Haberdish made it less fast food and more fine dining. Paying homage to the mill workers who lived and worked in NoDa years ago, Haberdish focuses on Southern comfort food. No frills, just good cuisine. Add crispy chicken skins to your mac and cheese and end your night with banana pudding or their homemade buttermilk ice cream. But if you leave without trying one of Colleen Hughes’ cocktails or mocktails, you’re not living your best life. 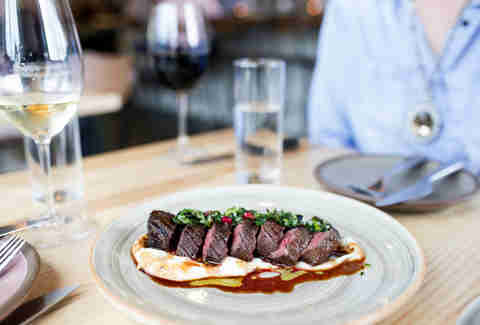 Founded by power culinary couple, Joe and Katy Kindred, their award-winning, namesake restaurant is located in Davidson across the street from the college. 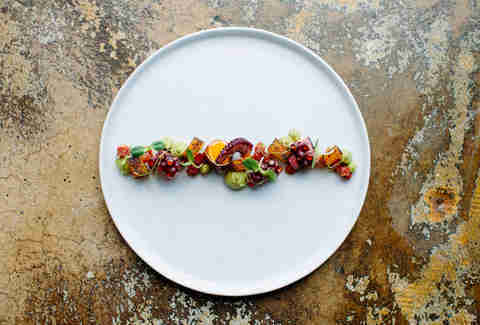 But don’t be fooled, Kindred is so much more than a college town restaurant. For starters, it introduced us to squid ink pasta and milk bread, and we thank them for that. Even as the menu frequently changes, you can always count on the milk bread. Anyways, if you’re in the mood for a cocktail, order the “barkeep’s choice,” and let the bartenders surprise you with a cocktail based on your liquor preferences. When the now beloved fast-casual Mediterranean-slash-Israeli restaurant, Yafo Kitchen, opened with an emphasis on healthy and international food, Charlotte went nuts. Now, with two locations and a third to open soon, Yafo is easily a Charlotte staple -- all in less than two years. 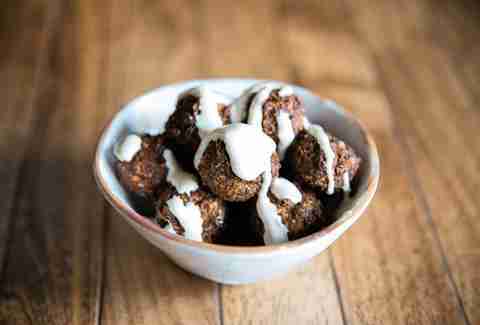 Lamb, yogurt dressing, tahini and falafel have all become mainstays in a city known for Southern fried food and we couldn’t be happier about it. Erin Maddrey is a contributor to Thrillist.